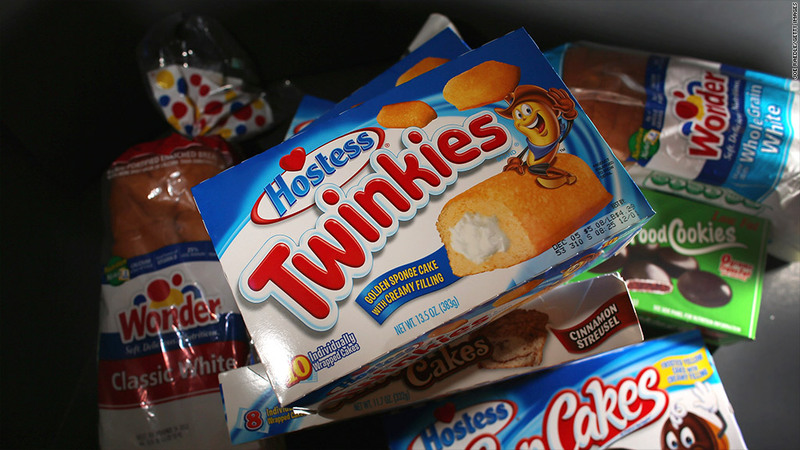 A bankruptcy judge approved the sale of Twinkies, Wonder Bread and most of the other top products of Hostess Brands. A bankruptcy judge has given final approval for the sale of Twinkies, Wonder Bread and many of Hostess Brands' other assets, clearing the way for the iconic products to return to shelves. Hostess snacks -- including Twinkies, Ho Hos, Ding Dongs and Zingers -- were sold for $410 million to a joint venture of private equity firms Apollo Global Management (APO) and Metropoulos & Co. They expect to return the product to store shelves this summer. Wonder Bread and most of Hostess' other bread brands was purchased by baker Flowers Foods (FLO) for $360 million. The company has yet to give a date for when those breads will be back in stores. On Thursday, Judge Robert Drain also approved the $31.9 million sale of the Beefsteak bread brand to baker Grupo Bimbo (GRBMF), a Mexico-based company that is one of the largest U.S. bakers. None of these products have been manufactured since Hostess, which was already in bankruptcy court, went out of business during a strike by members of its bakers' union. The company has been selling off its brands since then to try to raise money for creditors. Thursday's sales account for more than $800 million. Related: An unlikely Twinkies savior? Most of the 18,500 Hostess workers lost their jobs a result of the shutdown. But many former Hostess bakeries were included in the sales, suggesting that the buyers will need to do some hiring to restart the brands. The buyers have not commented on their hiring plans. Flowers is buying 20 bakeries and about 38 depots with its purchase; Apollo and Metropoulos are buying five bakeries. Metropoulos has experience turning around financially troubled food brands. The firm's food holdings include Pabst Blue Ribbon beer, and in the past have included Chef Boyardee canned pasta, Bumble Bee seafood, PAM cooking spray and Gulden's Mustard, all of which it eventually sold to ConAgra Foods Inc (CAG). Court approval is still pending for some other winning bidders, including privately held McKee Foods' purchase of the Drake's snack business for $27.5 million, and United States Bakery's $28.85 million winning bid for Hostess' Sweetheart, Eddy's, Standish Farms, and Grandma Emilie's bread brands, along with four bakeries.